As a brand, Swan has a strong heritage that dates back to the 1920s. Every single one of their products is designed and developed at its UK headquarters, making this brand as British as they come. With recent celebrity endorsement from Fearne Cotton, Swan’s popularity as a brand is ever-growing as their range of kitchen products evolves to assist even the most competent of home cooks. 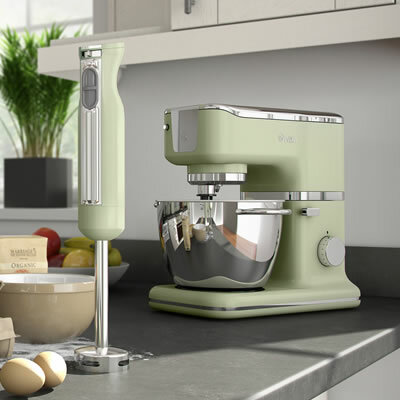 With a nod to the 1950s, we’re particular fans of Swan’s Retro Range, and have recently enjoyed the addition of the Swan Retro Hand Blender, the Swan Retro Hand Mixer, and the Swan Retro Stand Mixer to our kitchen. The Swan Retro Hand Blender is an absolute pleasure to use. Not only is it aesthetically very pleasing, with its retro design and fun pop of colour, it is also an extremely useful and functional addition to our kitchen. I have been using it to easily blend soups along with an array of different sauces both hot and cold, and it always holds up to each and every task. The stainless steel shaft makes sure it’s suitable for use with even the hottest of ingredients and the easy grip handle offers a great design element that makes it comfortable to hold, even when on its highest setting. If you’re looking for a simple, well made, effective hand blender, then this is a very stylish option for your consideration. Baking has not only become a pleasure, but is also far more efficient in our kitchen now, thanks to the Swan Retro Hand Mixer. 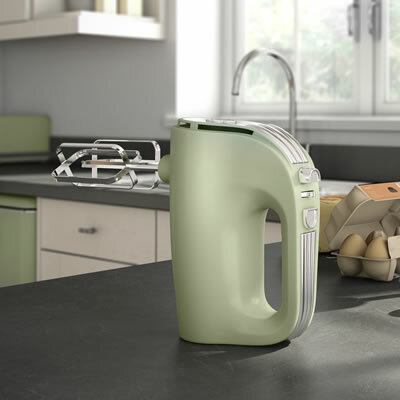 This mixer makes whipping up a few cakes of a weekend an absolute breeze. Each attachment, whisks and beaters - are made from stainless steel, making them durable and dishwasher safe. 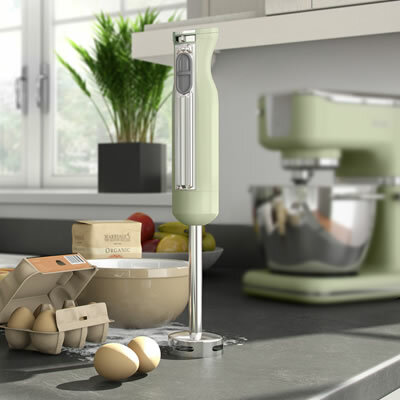 "They are a joy to use and do not disappoint in performance"
The outside casing of the mixer sees Swan’s easy grip material making it smooth and exceptionally easy to clean. We were pleased to note that the exhaust fans do not blow into the bowl, ensuring no big clouds of flour occur when using. This mixer is of course visually very appealing, and I personally love the 1950s retro style. 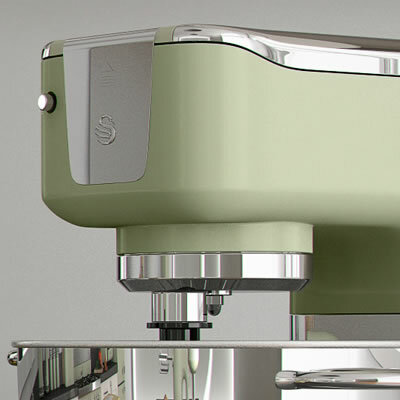 The Swan Retro Stand Mixer is a dream piece of kitchen equipment. It looks like something straight off the set of a 1950s film, yet works with all the power of modern technology. It makes bread making an absolute joy, and has various attachments making it suitable for a vast array of recipes. Its variable speeds ensure you’re in control, and the powerful motor is exceptionally low on noise. What is also great about this product, as with all the Swan Retro range, is that all the attachments and parts are dishwasher safe and the outer casing is a breeze to keep clean, all it takes is a wipe down. We were very impressed with this product and it comes highly recommended by us as a fantastic addition to the kitchen. It certainly adds a touch of style to its surroundings. Not only have each of the Swan Retro products we have tried turned out to be extremely useful in the kitchen, moreover the design elements really do make each product standout. They are a joy to use and do not disappoint in performance, which is why they come highly recommended by us.